If you just bought a new laptop or someone gifted you a laptop, Or it can be a situation that you borrowed someone’s laptop and now you are wondering that how to measure a laptop screen for just the curiosity Or maybe you are willing to buy a laptop bag. To measure laptop screen size there are few ways which are probably gonna give you the size of that laptop screen that you are using right now, But it Depends, which size you are exactly trying to figure out, is it the physical size of it, or just the Display(Resolution) of it. Here will tell you about both ways. To Find the Screen resolution of your Laptop there are two ways. If you are using Windows OS then you must Try the First method. Open Control Panel, by clicking on start button>>Contro Panel, Or if you are using windows 10 then simply search for Control Panel and click on it. Once you are on Control Panel, click on Appearance and Personalization. Now, click on Adjust screen resolution. Click the drop-down list which is places next to Resolution and there you can see you laptop resolution or even you can adjust it. 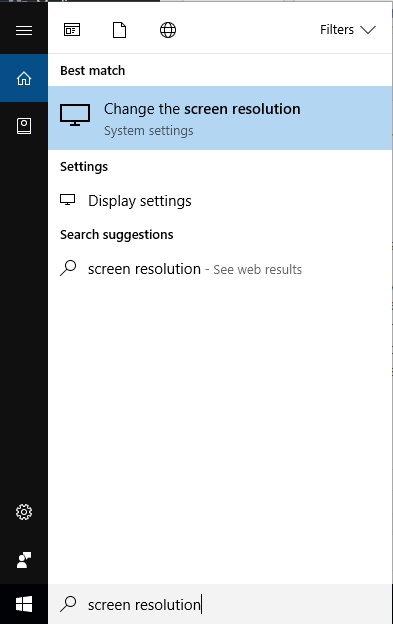 Or If you are on windows 10 then simply search for Screen Resolution on the search bar and Choose Change the Screen Resolution. 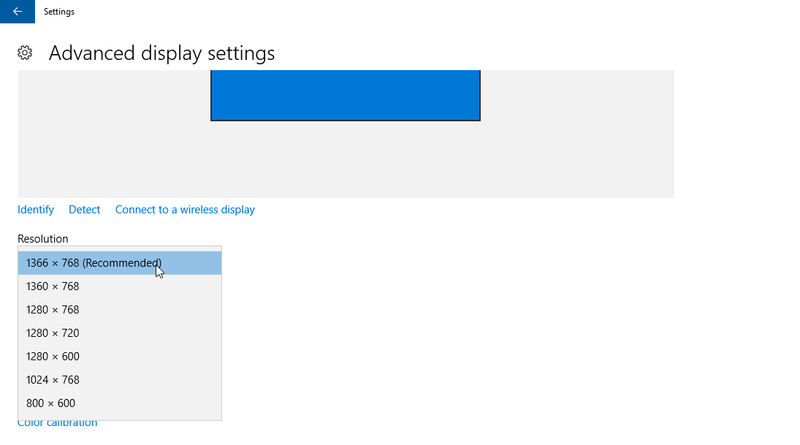 It will take you to the Advanced Display Settings where you can see the Current Screen Resolution or the Screen Resolution of Windows 10 by default. From here you can change the screen resolution for your Windows 10 as well. If don’t have time to check the screen resolution by going into manual options Or if you are using other OS then you have automated way by which you can check the screen resolution, all you need is a web browser on your Laptop. Simply Visit this site and it will show you the screen resolution of your current laptop display. If you are looking for measuring your laptop screen size just to find the laptop bag, so that it can fit perfectly then here is the way by which you can measure it. To Measure your laptop screen you need to know these measurement properties to find the exact fit for your laptop. When it comes for measuring the height of your laptop, then you need to close your laptop to get the full dimension of it. Once its closed, take the measuring tape and place it on the side of your laptop. You will measure from the bottom up, place the measuring tape at the bottom of your laptop and measure to the top of the laptop. This will give you the height of your laptop. 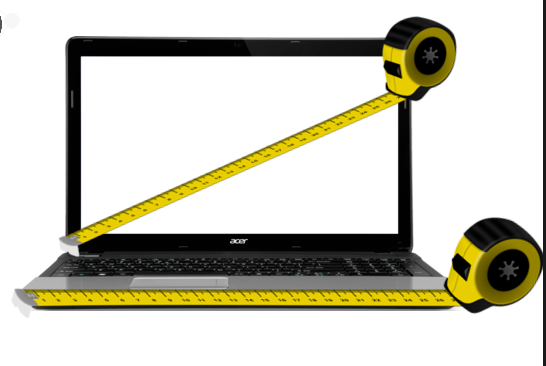 To measure the width of your laptop, take the measuring tape and place it at the bottom left corner of your laptop and drag it to the bottom right corner of your laptop. This will measure the laptop from one side to the next. Now Finally, measuring the depth of your laptop, you need to measure from the top right part of your laptop and drag it to the bottom right of your laptop. This will measure the laptop from the top to the bottom. These are the three parameters that you need to know while measuring the screen of your laptop. Once done, you will have the measurement of your laptop so now it is time to buy a bag for it.